Porsche Approved CPO! Rhodium Silver / Black Leather, Heated & Ventilated 14-Way Front Seats, Heated Steering Wheel, Premium Package, SiriusXM Radio, Compare To $83,485 Original MSRP! Porsche Approved CPO! Night Blue Metallic / Black, Heated 14-Way Power Front Seats w/ Memory, Navigation, Porsche Connect Plus, Voice Control, Compare To $61220 Original MSRP! Inspected! We performed a Porsche Approved Certified Pre-Owned (CPO) inspection. We performed an annual service, replaced the brake fluid, replaced two tires and performed a four-wheel alignment. The remaining tires have an estimated 8mm of tread remaining. The brakes have an estimated 70% of pad material remaining in the front and 80% of pad material remaining in the rear. The original in-service date was 31 October 2016. The Porsche new vehicle limited warranty expires 31 October 2020 or at 50,000 total miles. With the Porsche Approved CPO program you get an additional 2-year / unlimited-mile warranty at the conclusion of the new vehicle limited warranty. Porsche Approved CPO! Black / Black, Premium Package, Panoramic Sunroof, 14-Way Heated & Ventilated Front Seats With Memory, Navigation, Backup Camera, SiriusXM Radio, Compare To $84480 Original MSRP! Inspected! We performed a Porsche Approved Certified Pre-Owned (CPO) inspection. We performed an annual service, replaced all four tires and performed a four-wheel alignment. The brakes have an estimated 75% of pad material remaining in the front and 80% of pad material remaining in the rear. The original in-service date was 21 September 2016. The Porsche new vehicle limited warranty expires 21 September 2020 or at 50,000 total miles. With the Porsche Approved CPO program, you get an additional 2-year / unlimited-mile warranty at the end of the new vehicle warranty. Porsche Approved CPO! Jet Black Metallic / Black & Carrera Red Leather, Burmester High-End Surround Sound, Adaptive Cruise w/ Porsche Active Safe, Panoramic Sunroof, Carbon Fiber Trim, Porsche Entry & Drive, Insulated Privacy Glass, Lane Change Assist, 21-Inch SportEdition Wheels, Akrapovic Exhaust, Compare To $173560 Original MSRP! Porsche Approved CPO! Jet Black Metallic / Saddle Brown Leather Interior, Dark Walnut Trim, Premium Package Plus, Adaptive Cruise Control (ACC), Heated Steering Wheel, Heated & Ventilated 14-Way Power Front Seats, Compare To $83930 Original MSRP! Inspected! We performed a Porsche Approved Certified Pre-Owned (CPO) inspection. We performed a four-wheel alignment, replaced the wiper blades and replaced the key fob batteries.The original tires passed the CPO inspection, however, they turned out to be noisy. So we replaced those, too! The brake pads have an estimated 80% of pad material remaining front and rear. All maintenance is current. The original in-service date was 9/30/2015. 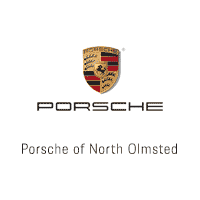 The Porsche new vehicle limited warranty expires 9/30/209 or at 50,000 total miles. With the Porsche Approved CPO program, you get an additional 2-year / unlimited-mile at the end of the new vehicle warranty. Black / Black & Chalk Leather Interior, Premium Package Plus, Heated & Ventilated 14-Way Power Seats, Bose Surround Sound, Navigation, Lane Change Assist, 20-Inch Carrera S Wheels, Compare To $77860 Original MSRP! Demo! Carrara White Metallic / Black Leather & Alcantara, Premium Package Plus, Adaptive Cruise Control (ACC), Porsche Connect Plus, Navigation, Heated Steering Wheel, Voice Control, Lane Change Assist, Backup Camera, Roof Rails, 8/22/18 In-Service Date, Compare To $85790 MSRP! GT Silver Metallic / Black Leather Interior, Sport Package, Premium Package Plus, 18-Way Heated & Ventilated Front Seats, SportDesign Front Fascia, Painted Side Skirts, PASM Sport Suspension, Lane Change Assist, Heated Steering Wheel, Bose Premium Speakers, Full Clear Bra, Compare to $150110 MSRP! Carrara White Metallic / Black Leather Interior, Premium Package Plus, Burmester 3D High-End Surround Sound, 14-Way Heated & Ventilated Front Seats, Sport Chrono Package, SportDesign Package, Porsche Carbon Ceramic Brakes (PCCB), Compare To $164,880 Original MSRP! Lava Orange / Black Leather, Premium Package Plus, Heated & Ventilated 18-Way Adaptive Sport Seats, SportDesign Mirrors, Painted Side Skirts, Lane Change Assist, Bose Premium Speakers, Compare to $166410 Original MSRP! Guards Red / Black Leather & Alcantara With Red Stitching, Bucket Seats, Front Axle Lift, Voice Control, Carbon Fiber Interior Package, Bose Surround Sound, Compare To $165920 Original MSRP! Inspected! The brakes have an estimated 95% of pad material remaining front and rear. The tires have an estimated 6mm of tread remaining front and back. We replaced a missing book, reinstalled the factory center muffler, and performed a four-wheel alignment. The original in-service date was 26 February 2018. The Porsche new vehicle limited warranty expires 26 February 2022 or at 50,000 total miles. This vehicle qualifies for the Porsche Approved Certified Pre-Owned (CPO) program: ask for details! Porsche Approved CPO! Lava Orange / Black Leather & Alcantara Interior With Lava Orange Stitching, Porsche Ceramic Composite Brakes (PCCB), Porsche Communication Management (PCM) With Navigation, Sport Chrono Package, Wheels Painted Satin Black, SportDesign Side Mirrors, Extended Range Fuel Tank, Compare To $193645 Original MSRP! Inspected! We performed a Porsche Approved Certified Pre-Owned (CPO) inspection. The brakes have an estimated 98% of pad material remaining front and back. The tires have an estimated 5mm of tread depth remaining front and back. We performed a major service due by time, changed the brake fluid, replaced the spark plugs, performed a four-wheel alignment and replaced the expired tire sealant. All maintenance is current. The original in-service date was 20 October 2015. The Porsche new vehicle limited warranty expires 20 October 2019. With the Porsche Approved CPO program this vehicle has Porsche-backed warranty until 20 October 2021 or up to 100,000 total miles. PTS Maritime Blue / Black Leather & Alcantara Interior With Platinum Stitching, Sport Chrono Package, Carbon Fiber Bucket Seats, Carbon Fiber Interior Package, Compare To $175,605 Original MSRP! Inspected! The tires have an estimated 7mm of tread remaining front and rear. The brakes have an estimated 90% of pad material remaining front and rear. We replaced one tire that was plugged and performed an annual service. The original in-service date was 28 March 2018. The Porsche new vehicle limited warranty expires 28 March 2022 or at 50,000 total miles. This vehicle qualifies for the Porsche Approved Certified Pre-Owned (CPO) program: please ask for details. PTS Signal Green / Leather & Alcantara Package in Black / Grey, GT Sport Manual Transmission, Porsche Ceramic Composite Brake (PCCB), Full Bucket Seats, Carbon Fiber Interior Package, Sport Chrono Package, Wheels Painted in Satin Black, Compare To $188520 Original MSRP! White / Black, Front Axle Lift, Porsche Carbon Ceramic Brakes (PCCB), Extended Range Fuel Tank, LED Headlights In Black, Compare To $211130 MSRP! Inspected! The brakes have an estimated 100% of pad material remaining. The original in-service date was 18 February 2019. The Porsche new vehicle limited warranty expires 18 February 2023 or at 50,000 total miles. This vehicle qualifies for the Porsche Approved Certified Pre-Owned (CPO) program: please ask for details! Black Obsidian / Black Leatherette Interior, Heated Leather Steering Wheel, Sunroof, Keyless Entry & Ignition, Eight-Way Power Front Seats, Backup Camera, Bluetooth, Satellite Radio, HD Radio, Read More! Inspected! The tires have an estimated 9/32 to 10/32 of tread remaining. The rear brakes have an estimated 5mm of brake pad material remaining. We replaced the front brakes, performed an engine oil and engine oil filter change, replaced the battery and performed a four-wheel alignment. According to the CarFax report, this vehicle is covered by the Infiniti new vehicle limited warranty until Mid June of 2019 or a total of 60,000 miles. An extended service contract is available at additional charge. Oolong Gray Metallic / Valcona Black Leather Interior, Heated Front & Rear Seats, Heated Steering Wheel, 12-Way Power S Sport Front Seats, Head Up Display, Bose Surround Sound, LED Headlights, Compare To $84975 Original MSRP! Bluestone Metallic, Black Dakota Leather, Premium Package With Comfort Access Keyless Entry, Heated Front Seats, SiriusXM Radio Capability, Gesture Control, 18-Inch Light Alloy Wheels, Navigation, Sunroof, Backup Camera, Compare To $59995 Original MSRP! Inspected! We performed a used car inspection. The tires have an estimated 9/32 of tread remaining on the front and 8/32 of tread remaining on the rear. The front brakes have an estimated 11mm of pad material remaining. The rear brakes have an estimated 10mm of brake pad material remaining. According to the CarFax the new vehicle limited warranty began in August of 2017. The BMW new vehicle limited warranty is 4 years from the in-service date or 50,000 total miles. An extended service contract is available at additional cost. Feel free to visit our Porsche dealership and explore our large selection of used vehicles that are available at our location. We take pride in the quality of our pre-owned models and have a wide selection available to ensure that you can find what you’re looking for at our dealership. Our inventory is always changing, which means that you’ll find different cars available throughout the year. Whether you’re looking for a pickup truck or a sedan, we have what you need. We also carry compact cars, SUVs, minivans, and hybrid models. Many drivers resort to purchasing a new car out of convenience but don’t always understand the number of advantages that are available with buying a used car. Automakers are now manufacturing vehicles to last longer, which means that you can own a car that will last longer than 100,000 miles. The cars also include a warranty to ensure that the dealership fully covers any repairs that may be needed in the near future. There’s also a financial benefit of purchasing a used vehicle. Used cars are more affordable because they’ve already had a few thousand miles on them and have a previous owner. They’ve also depreciated, which means that you won’t lose as much value on the car once you purchase it. The most depreciation occurs in the first four years, which can help you to decide what year of vehicle you want to own. You can also get more money for your car if the vehicle has been pre-owned because you’ll be able to afford a higher trim than a base model of a new car. You can own a vehicle that has more bells and whistles if you purchase used rather than a new car that doesn’t include automatic windows or a heated steering wheel. It’s also easy to save more money on your insurance because the vehicle will be less expensive to repair if it’s involved in an accident. When it comes to buying a used car, you’ll also have more of a variety and can choose from thousands of different models compared to only a handful that is newly released. You’ll have more options with the features that you want to have included in the car, the MPG, and the type of engine that is installed. You can also select a specific design that you favor to find a car that is specific to your taste and style. Each used vehicle that is for sale at our dealership is thoroughly inspected by our qualified technicians before it becomes available to our customers. You can have peace of mind knowing that you can own a certified vehicle that operates well and is in excellent condition. Our service department team is composed of the top technicians in the local area to ensure that you purchase a used car that has had the necessary performs repaired with quality parts used.